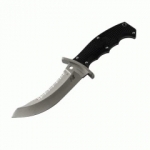 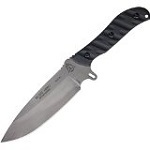 When you are on a budget and you are looking for a light duty stainless steel blade this is a great option. 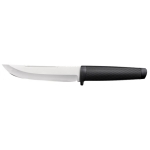 GOOD- price, lightweight, very sharp and easy to resharpen, full tang, very ergonomic handle for extended carving and cutting. 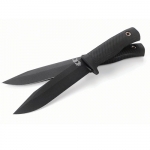 BAD- 4116 German steel is soft and will not hold an edge very long, no lanyard hole for chopping, too thin for batoning.